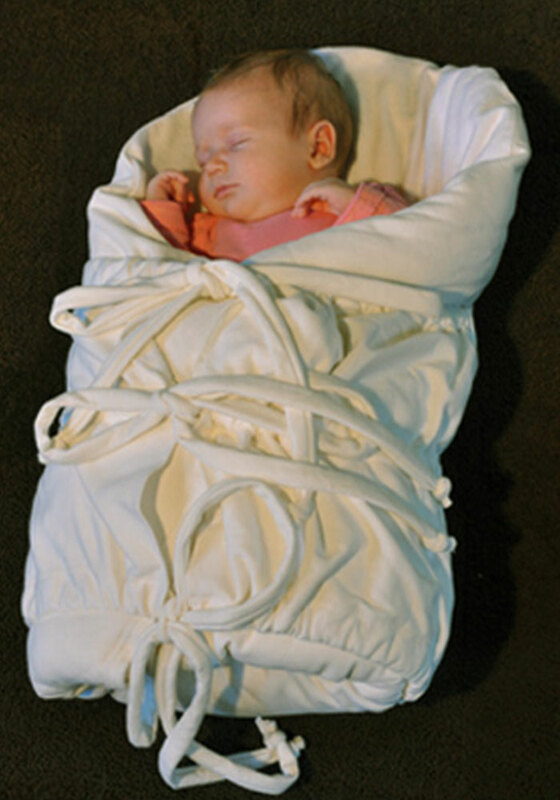 Clever moms in the Czech Republic have been using otas to swaddle fussy babies to sleep for centuries. 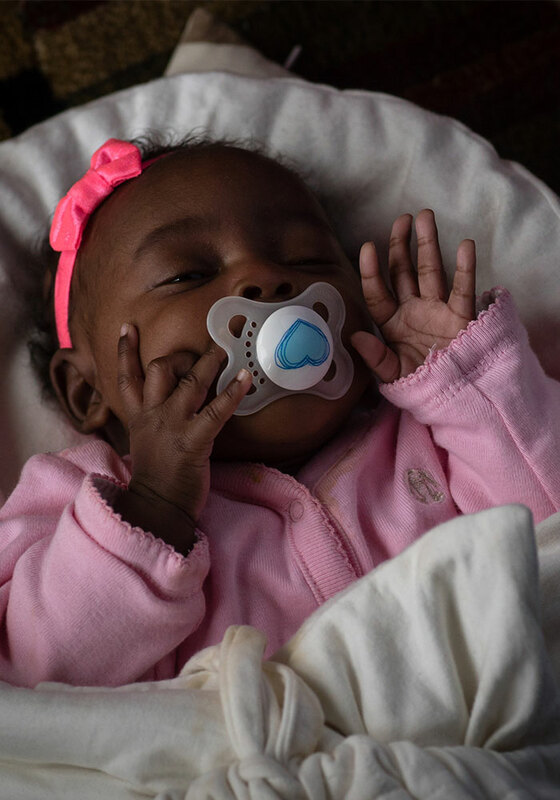 It keeps babies warm, comfortable and happy - which means mom and dad get more nap time for themselves. Three Bow comfort ties allow you to adjust how snugly your baby is wrapped and modify the fit as your baby grows! 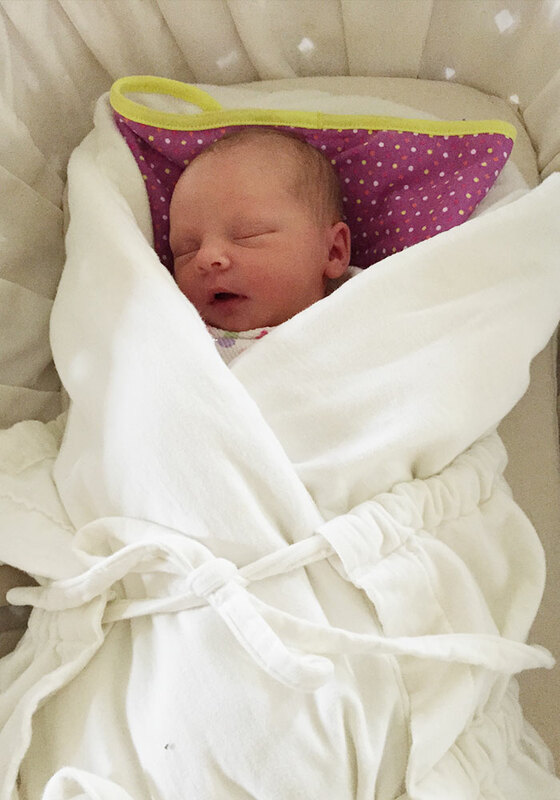 It’s the original swaddle, and it’s probably why Czech women look so good. 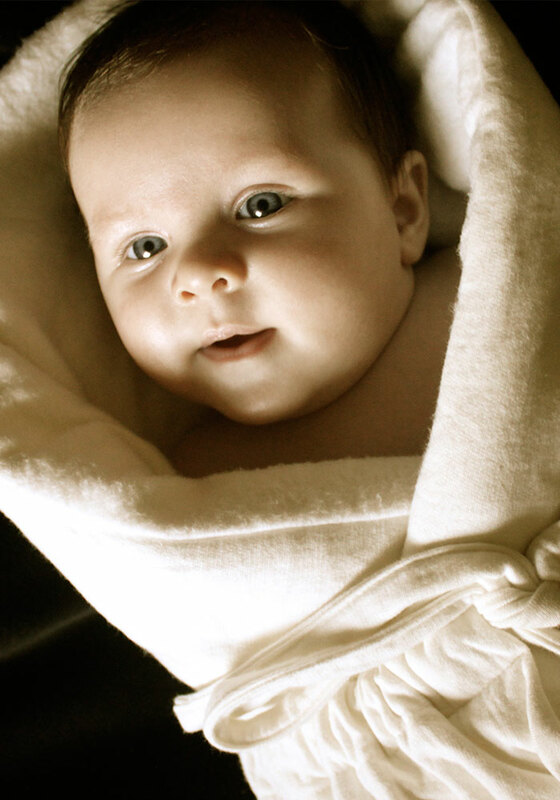 Baby Ota is made of eco-friendly bamboo fiber, which is anti-bacterial, softer than cotton, and easy to wash. Baby Ota swaddles are also made to last. Traditionally, they’re handed down as family heirlooms, though you probably won't want to part with yours. You can start a new tradition, sleeping through the night. 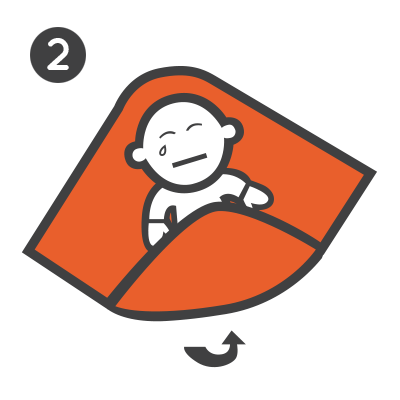 Wrapping your baby in a warmer embrace than a grandmother takes only 30 seconds and four steps. Step 1 Lay your Baby Ota flat and place your baby on top of it. 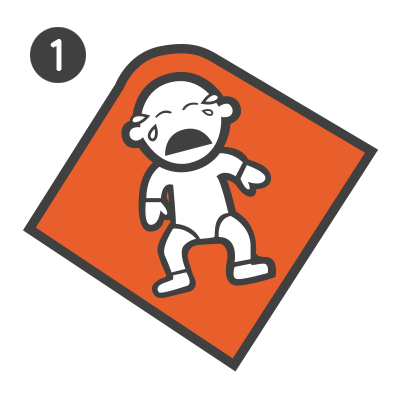 Step 2 Fold the bottom of the Baby Ota over your baby’s feet and legs. 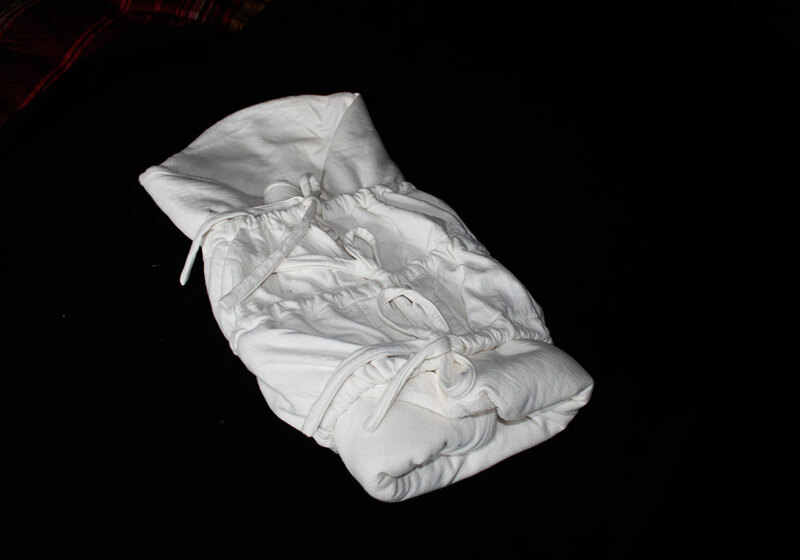 Step 3 Fold the flaps snugly around your baby. Step 4 Tie the three comfort ties together and your bundle of joy is complete! 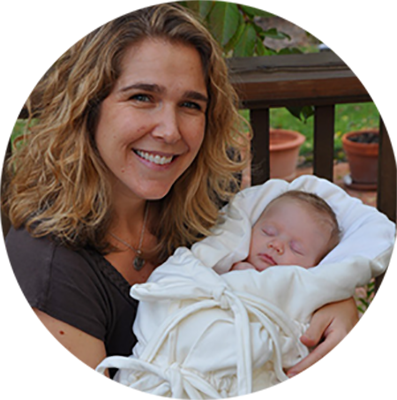 Order your Baby Ota and see for yourself why European mothers and grandmothers have been using them to swaddle babies for hundreds of years. Are Your Parental Instincts Kicking In? Baby Otas have been around forever for a reason, they work. They'’re also beautiful, safe, comforting and environmentally friendly, so you’re taking care of your baby and the planet. That'’ll be a nice thing to think about while you're drifting off to sleep. Ivana is a full-time mom, full-time business owner, and a part-time giver of sound advice. Ivana understands the difficulties in wrangling rug rats while also trying live a normal life, and will answer your questions in our monthly newsletter.